Providing a professional service within a target community is among the most challenging and competitive sales environments. A single community can be represented by dozens of real estate agents, insurance agents, health service providers, attorneys, bankers, and business consultants. A community target market has a limited pool of potential consumers that get battered almost daily by your competition. Standing out in the crowd is typically reserved for those with the largest segment of the market enabling them to manage the largest marketing budget. If you want to be at the top of your market you either must outspend or out-market your competition. If you can’t outspend them today, you can surely out market them by utilizing technology to leverage a dynamic marketing advantage. Being successful in a community is contingent on building long term relationships and social media is a forum that touches almost every community member. Tying these two into a marketing strategy can launch you to the top of your market while overcoming common sales challenges associated with traditional marketing. Digital marketing though social channels addresses many common barriers with technology that enables content management and automation. 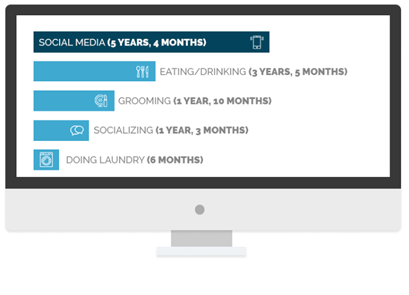 The average community member spends as much as 1 hour a day on social media. This is compounded by over 86% of purchase decisions are influenced by digital content. There is no downside to social marketing and for the most part it’s free. With so much of our daily lives spent online it’s fairly obvious why digital marketing is expecting to top 36 billion in 2017 while North America alone spent 12.5 billion in 2016 according to eMarketer. You don’t have to have a multi-million dollar budget to be where your target audience is. Though most business social forums are free, advertising within them is not, but, leveraging the public aspect of social forums though public communication is both free and, with the right technology, extremely easy to do. 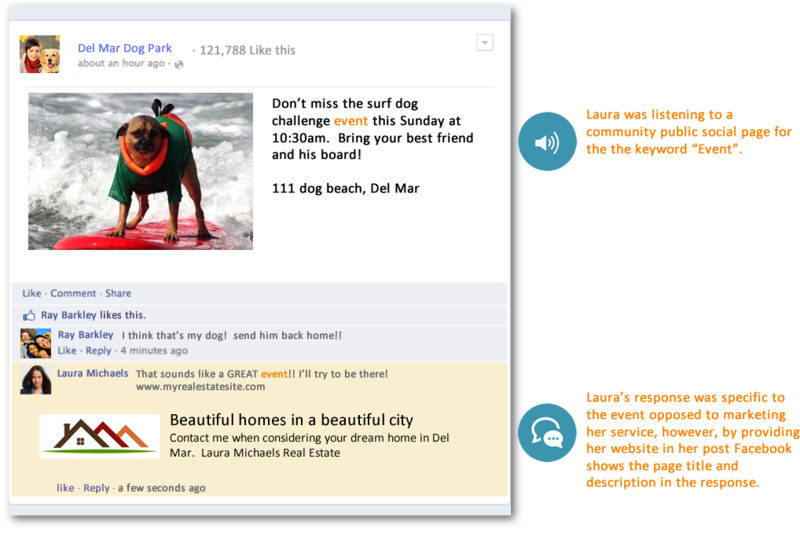 Social listening is the core of this technology. By listening to public conversations within target social venues you can find and focus on very specific opportunities to engage an audience. This technique is significantly more powerful than paid social ad placement marketing in that it is both in line and in real-time relevant to the conversation taking place, whereas ad campaigns are often random and rarely on topic to the content in which they are presented alongside of. Social listening and automation is a powerful tool in targeting qualified leads but it’s also a powerful tool in developing a professional community presence. Most social media conversations are simply social ranging from eating out, community events, local entertainment, business services, and personal events. These each present opportunities to engage within the community while enforcing your brand and professional service. Within a short period your brand touches thousands in a positive way within your community. There are hundreds of local community pages that all provide unique opportunities to engage as a community member while representing a professional service. Over 90% of your community businesses have facebook business pages. The most common community posts are birthdays, holidays, anniversaries, and events. Each engagement has the potential of touching hundreds of community members while promoting you as both involved and the top professional in your market. 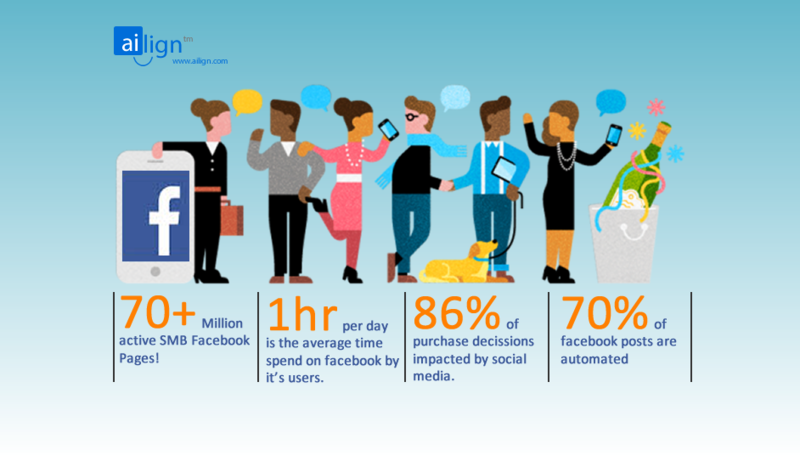 The primary benefit of smart social automation is in driving qualified engagements that result in a substantially increased response rate that is easily 10x that of traditional online marketing. Want to learn more? Schedule an ailign demo today. This entry was posted in Digital Strategy, Marketing Strategy, Social Media and tagged ailign, community, david raine, digital marketing, social media. Bookmark the permalink.